Tasting local food at osmica is a real food experience. 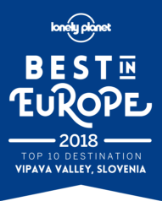 Osmica open doors is a type of a farmers local taverna with 200-year-old tradition preserved until these days in Vipava valley and Karst region on the western part of Slovenia. Osmica takes place in the fall and spring. Follow the bouquets of ivy or fraska – the symbol of osmica. Wine-growing farmers are allowed eight days a year selling their surplus wine without paying tax. In this manner they prepare wine barrels for the new harvest. Besides local wine, you can also taste home dried meat products (prosciutto, sausage, pancetta, ham, salami), cabbage or turnip stews with a sausage, home-baked bread, desserts (potica, štruklji dumplings), and home-made alcoholic and non-alcoholic beverages. A real culinary treat on the Slovenian countryside! – unique decoration that points you to osmica. 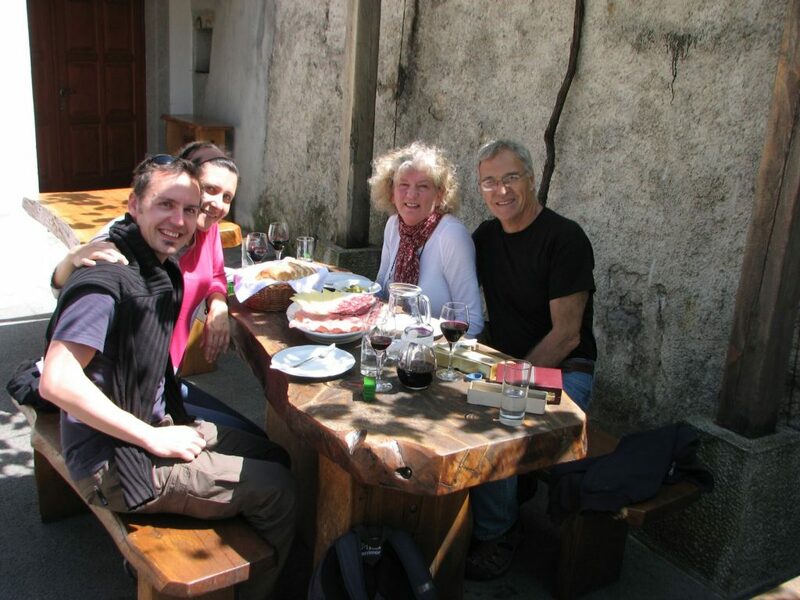 Perfect for … all foodies seeking a real food experience in Slovenia! Time: fall and spring during the weekends by prior appointment. Price: 47 EUR/person (min. 2 people). The price includes local guiding, 1 food stop. Gratuities and tips are highly appreciated. For now, cash only. Prices are slightly higher if there is only one person on the tour. Our family of four was visiting Slovenia for the first time and we wanted a local experience. Vesna met us at an authentic farmhouse in the countryside where we enjoyed true Slovenian home-cooked meal and drinks in a celebratory fashion. It was the last of an 8-day Osmica and we really enjoyed talking about all things Slovenian. The Osmica was packed with locals and we loved being part of that vs. being a tourist in a touristy restaurant. Vesna knows a lot of history and is very easy to be with. We could’ve talked for hours with Vesna.